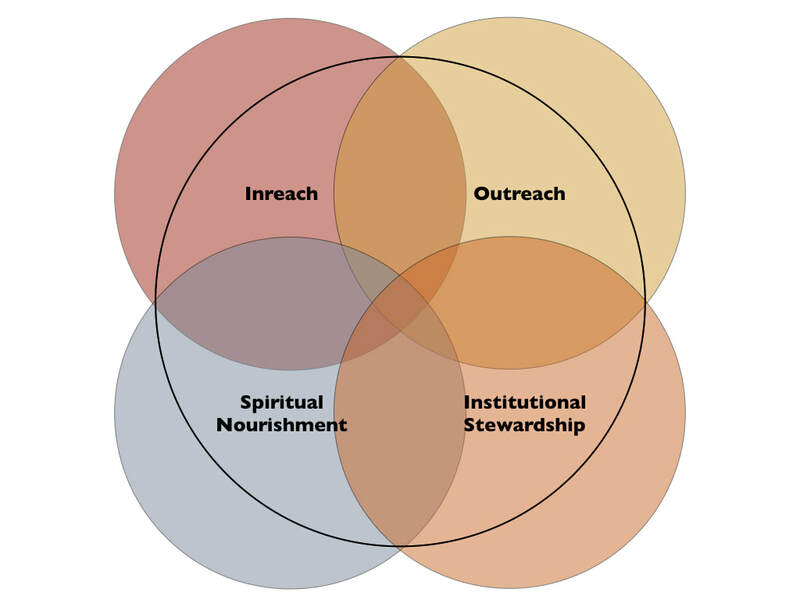 We have developed four ministries as the structure of our religious institution: Inreach, Outreach, Spiritual Nourishment and Institutional Stewardship. These arose from our gratitude, our thankfulness for all the components that our faith community offers. They work together and independently to carry out our mission for realizing the Beloved Community. Once a month, on fourth Thursdays from 9-12, leaders from our ministries and members from our congregation meet for our Program Council. This is a time for leadership development and support as well as sharing plans and working in unison on fulfilling our mission.